Syfy Renews CHANNEL ZERO for Season 3 / Season 4? Syfy and Universal Cable Productions have given Syfy’s Channel Zero TV series the greenlight for season 3 and 4. Channel Zero’s Season 1 ratings must have been superb. 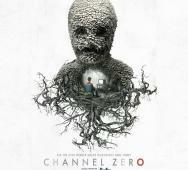 Syfy’s Channel Zero Season 2 premieres this upcoming Halloween October 2017, with Brian Russell’s NoEnd House as a featured creepypasta. Max Landis is confirmed to return as the executive producer. Anthony C. Ferrante‘s Sharknado 4: The 4th Awakens (2016) will also have a panel featured at the San Diego Comic-Con 2016. The panel starts at 7:15 pm on Friday, July 22, 2016, in Room 6A. Special guests at the Comic-Con panel include Ian Ziering, Tara Reid, Ryan Newman, Stacey Dash, Cody Linley, Masiela Lusha, and director Anthony C. Ferrante. 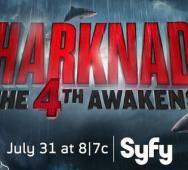 Sharknado 4: The 4th Awakens premieres on Syfy July 31, 2016. Syfy and The Asylum announced the full movie titled for Sharknado 4 (2016) will be, Anthony C. Ferrante’s Sharknado 4: The 4th Awakens (2016). Yes, a Star Wars reference with the premiere date scheduled for Sunday, July 31, 2016, at 8:00 pm EST/PT. Set to star include Tara Reid, Cody Linley, and Masiela Lusha among many more. Syfy’s The Magicians Season 1 is fast approaching its special two-episode premiere on January 25, 2016. 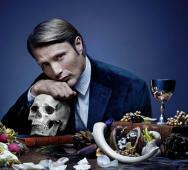 The New TV series is adapted from Lev Grossman‘s New York Times best-selling fantasy trilogy, The Magicians. I think the show will make a fantastic series you had better not miss out on the premiere. Enjoy the photo gallery below for a quick preview of The Magicians. The Magicians star Jason Ralph, Arjun Gupta, and Stella Maeve. Syfy’s Helix TV Series has been cancelled from what seems like a huge decline in viewership. I started watching season 2 but my family did not like the jumping back and forth between the present and future events. I thought it was pretty cool but it looks like many other viewers felt the same too. I still have to watch out the second season of Helix and will do so even though it is cancelled, the series had real promise. Tell us what you think of this cancellation, do you agree with it getting cancelled or do you think this was totally wrong? Syfy’s Sharknado 3 (2015) will see Cassie Scerbo return along with Ian Ziering and Tara Reid. Anthony C. Ferrante will direct and The Asylum is also attached. I tried to jump in on the Sharknado movie a couple of times but just was at the wrong times and I was easily distracted. 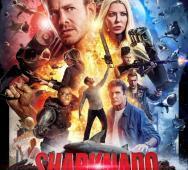 Sharknado 2 (2014) is currently on Netflix Instant Streaming and was a major rating puller for Syfy recently. Also cast in Sharknado 3 are Cindy Margolis, Vanilla Ice and Brittani Cox. Ian Ziering and Tara Reid in Syfy's Sharknado 3 Confirmed! Syfy and The Asylum have officially announced that Ian Ziering (Fin) and Tara Reid (April) will return for Sharknado 3 (2015). Sharknado 2: The Second One (2014) became Syfy Original Movie‘s most-watched movie on July 30, 2014 with 3.9 million total viewers watching. The new Sharknado movie takes the entire East Coast with locations including Washington, D.C. and Orlando, Florida. Also starring in Anthony C. Ferrante‘s Sharknado 3 are Cindy Margolis, Vanilla Ice (rumored) and Brittani Cox. 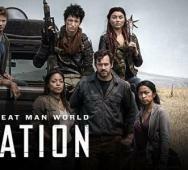 Syfy’s Z Nation Season 1 will be heading to Netflix Instant Streaming on Friday January 19, 2015, all 13 episodes. I have to admit that I watched the first half of Season 1 and liked the zombies and overall plot, the actors did good but then the characters that I liked started dropping like flies. I kind of got a little bored with the remaining cast and got easily distracted from the rest of the Season. 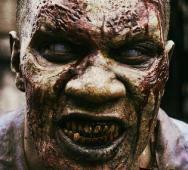 I will definitely jump right back into Syfy‘s zombie TV series on Netflix. 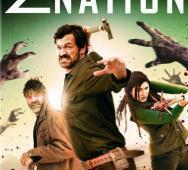 Starring in Z Nation Season 1 are Kellita Smith, DJ Qualls and Keith Allan. 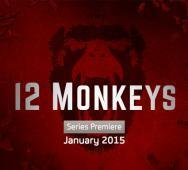 Syfy and Universal Cable Productions are bringing the 12 Monkeys TV series to the small screen premiering Friday January 16, 2015. We get to see the entire opening scene in this video and although I am not particularly stoked to see the TV series, I am interested more than before. Starring in the 12 Monkeys TV series are Aaron Stanford (as James Cole/Time Traveler, was played by Bruce Willis), Amanda Schull (as the Doctor, was played by Brad Pitt), Noah Bean (as Aaron Marker) and Kirk Acevedo (as Ramses). Hard to call this one on an opening scene but I will check it out on premiere night. NBC Cancelling Constantine After Only 13 Episodes!? NBC has officially stopped production on Constantine Season 1 after the first 13 episodes. That means that the Constantine first season will not get the full amount of episodes that it deserved. I watch the Constantine TV show and really want to see where the main story goes but NBC is not sure about continuing the series right now. NBC was hoping that fans of NBC’s Grimm TV series would cross over to Constantine but not enough of that audience has. People might not be crossing over because of the 10 pm airing and the fact that the series has been shaky to say the least. NBC has not flat out cancelled season 2, NBC has put everything on suspend until ratings pick up else that will be the end of Constantine. 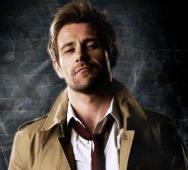 There are also rumors floating around that NBC might handover the Constantine TV series to Syfy to continue the series. 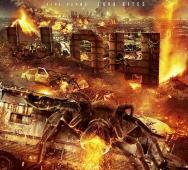 Syfy is bringing us another original monster movie with Lavalantula. These are lava spiders who attack Los Angeles which is a pretty thin synopsis for now but the only official details released. Mike Mendez will direct the film, you might remember him from Big a** Spider! (2013) and The Gravedancers (2006). Starring in this film are former Police Academy stars Steve Guttenberg, Leslie Easterbrook and Michael Winslow. Do you think this movie has enough potential to top Sharknado? The Syfy Channel just released their Halloween lineup for “31 Days of Halloween” 2014, we are talking over 600 hours of horror. 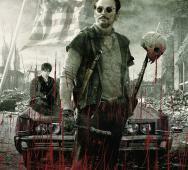 Syfy will premiere Z Nation Season 1 on September 12, 2014 and Town of the Living Dead Season 1 on October 7, 2014. These are two new zombie TV series should help pass the time until AMC’s The Walking Dead Season 5 premiere air date October 12, 2014. 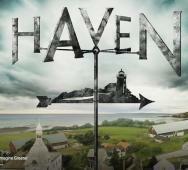 Haven Season 5 is set to premiere September 11, 2014 and the Season 10 premiere of Ghost Hunters airs October 8, 2014. Ascension, starring Tricia Helfer, will start November 24, 2014 with it’s six-hour event. The full details on the TV shows are listed below, which is your most anticipated? Syfy‘s Sharknado 2: The Second One (2014) broke records for Syfy pulling in 3.9 million viewers according to Nielsen reports.Syfy has not had a hit this big since 2011’s “Swamp Shark.” The film is silly and entertaining but this blows most of Syfy’s other TV series out of the water. 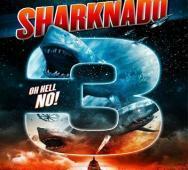 Did you see Sharknado 2: The Second One? I know one thing for sure, we are getting a Sharknado 3 from Syfy really soon. 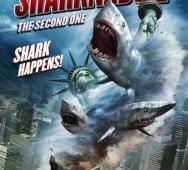 Sharknado 2: The Second One was directed by Anthony C. Ferrante who did a great job spreading out the funny scenes. Cast in the horror sci-fi thriller movie are Ian Ziering, Tara Reid and Vivica A. Fox. 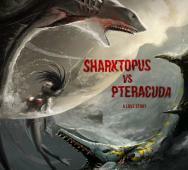 Syfy‘s Sharktopus vs. Pteracuda (2014) is not only a creature feature but also a love story!? This is a twist on the classic monster battle movie but I sure am interested in what this really means and more importantly, how can you make the next monsters’ name any weirder. Also, the poster states that the film is inspired by true events, are you for real!? I still love the movie poster anyway. 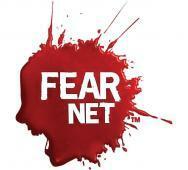 Syfy will premiere the creature feature film on August 2, 2014. Cast in Kevin O’Neill‘s film are Robert Carradine, Katie Savoy, Rib Hillis and Conan O’Brien. I have to admit that I had my doubts in the back of my mind but after watching this Dominion trailer, that has gone away. Syfy’s Dominion TV series looks great and being a fan of the Legion (2010) movie, this is excellent. This is a must see trailer setting us up for the premiere of Dominion Season 1 on Syfy this Thursday June 19, 2014 at 9/8c. Dominion stars Christopher Egan, Tom Wisdom, Roxanne McKee, Alan Dale, Anthony Stewart Head and Luke Allen-Gale. 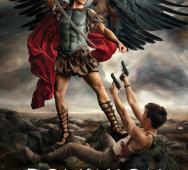 Syfy‘s Dominion Season 1 premiere happens this June 19, 2014 9 p.m. est. and I am so stoked to see the TV series. I liked the movie Legion (2010) in which this TV series takes place in this world a whole 25 years later, a lot has happened in that time. I cannot wait to see what the Angels vs Demons vs mankind has done to the world. Dominion stars Christopher Egan, Tom Wisdom, Roxanne McKee, Alan Dale, Anthony Stewart Head and Luke Allen-Gale. Syfy announced that Helix Season 1 was a success and that they were continuing with Helix Season 2 due to premiere with a non-specific Winter 2015. The Blu-ray / DVD will be released this July 1, 2014 thanks to both Syfy and Sony Pictures Television. 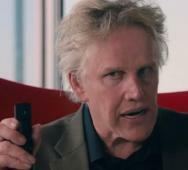 The Blu-ray will have many deleted scenes, outtakes and commentary among other additional extras. Billy Campbell, Hiroyuki Sanada and Kyra Zagorsky star in Helix season 1. 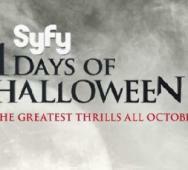 Syfy is continuing to push the envelope with great programming. Syfy has announced the official documentation that the Clone TV series based on Robert Kirkman‘s latest comic series is in the works plus many more. Also in the works are Letter 44 and Magicians, Full details ahead. Syfy’s Helix Season 1 has been a great ride. I was excited to hear that Syfy officially confirmed that there will be a Helix Season 2. The second season will be 13 episodes long starting production later this year. Helix Season 2 will premiere winter 2015. Helix stars Billy Campbell, Hiroyuki Sanada and Kyra Zagorsky. 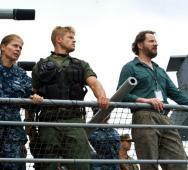 Nick Lyon‘s Bermuda Tentacles (2014) has a very mixed cast with Linda Hamilton and Jamie Kennedy. You can thank Syfy and The Asylum for this new Sci-Fi movie. You can watch Bermuda Tentacles on Syfy this April 12, 2014 at 9 pm. Also starring are Trevor Donovon and Mya Harrison. 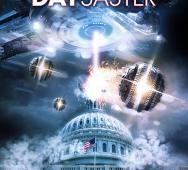 A Syfy Original Movie with the help of Anchor Bay Films will be releasing Independence Daysaster (2013). W.D. Hogan (Earth’s Final Hours) directs Casey Dubois, Iain Belcher and Andrea Brooks. The release date for the Independence Daysaster DVD is set for May 27, 2014. Syfy is apparently very happy with Haven TV series and therefore greenlit season 5 for a whopping 26 episodes. That is double the usual 13 episodes per season. The first 13 episodes will premiere this upcoming fall 2014 and the next 13 episodes will air in 2015. Emily Rose, Lucas Bryant and Eric Balfour will return as their usual characters. Netflix currently has Haven seasons 1-3 available to stream in case you are way behind and need to catch up. 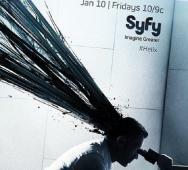 Syfy‘s Helix Season 1 premieres this upcoming January 10, 2014 so with that, we have the first 15 minutes of the pilot episode here to reel you in. Along with the first 15 minutes, we have multiple trailers and a behind the scenes video as well. 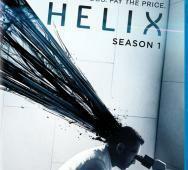 Syfy will premiere Helix with a special double episode and limited commercials, Syfy is really behind this new TV series. Make sure you check out these videos and comment with what you think of Helix so far. Syfy’s Being Human Season 4 is about to kick off January 13, 2014 so here is a mega promo package of stills from the upcoming episode, Old Dog, New Tricks. Lots of new things to deal with in this episode. The highlights are that Josh (Sam Huntington) is permanently a wolf now with Nora (Kristen Hager) trying to fix the situation. More ghosts from Aidan’s (Sam Witwer) past reappear and Sally (Meaghan Rath) is trapped with the witch Donna (Amy Aquino) but discovers she now has crazy powers. Syfy’s Being Human Season 4 premieres this upcoming January 13, 2014 and I just can’t wait. Below we have the new season 4 artwork for Being Human, a Counting Full Moons video and an Extended Preview video. Check out the latest 2014 horror TV promo material and leave a comment below. Entertainment One just dropped the release details and cover art for Syfy’s Haven Season 3 Blu-ray & DVD. Check you local retail stores or online on September 3, 2013. Syfy’s Haven is based on “The Colorado Kid” by Stephen King. After the last episode of “Being Human” on Syfy, Donna proved that she is not a good witch. Henry may not be seen again on Being Human. Check out the synopsis, sneak peek and preview of Episode 3.04, “I’m So Lonesome I Could Die,” has to tickle our curiosity. Syfy‘s Being Human Season 2 is available on Netflix; so everyone should be at least caught up and ready to jump into Season 3. Being Human Season 3 is already into episode 3.03 The Teens They Are Changin’. Check out the synopsis, teaser and clip videos below. 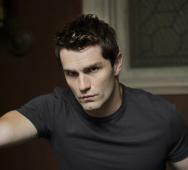 Check out the first four minutes for Being Human” Episode 3.02 - (Dead) Girls Just Want to Have Fun. Syfy Being Human fans made enough likes and retweets that Syfy released this clip. Check it out for yourself. Syfy hit TV series Being Human has just released a promo sneak peek for the next upcoming episode 3.02 “(Dead) Girls Just Want to Have Fun”. Further more, Vampire Aidan has taken over the Syfy Being Human Facebook Page; more details below. Syfy‘s Being Human will kick another season next Monday, January 14, 2013. Being Human Season 3 episode 1 is titled “It’s a Shame About Ray”. Check out the sneak peek clip from the episode and upcoming season. 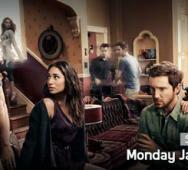 Syfy‘s Being Human Season 3 is about to kick off in a week so check out the new promo videos lineup. Syfy’s “Power Mondays” is indeed looking exceptional with a lineup featuring “Being Human,” “Lost Girl,” and new series “Continuum.” Make sure you don’t miss season 3 of Being Human. Syfy Alphas season 2 photos are now live. Check out photos of Dr. Rosen, Cameron, Nina, Dani and Stanton Parish. Episode 2 is titled “The Quick and the Dead” and will air Monday night July 30,2012. 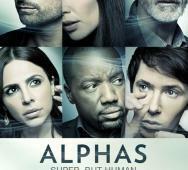 Syfy‘s Alphas Season 2 is about to premiere July 23, 2012 at 10 PM ET/PT. Scheduled to join the cast are Sean Astin, C. Thomas Howell, Lauren Holly, Summer Glau, Steve Byers, Kandyse McClure and many more listed on the roster. Details from the Press Release are included along with the official poster for season 2. 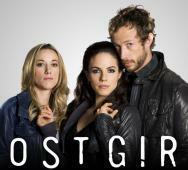 Syfy has confirmed that they will be making a Lost Girl Season 3. This comes as no surprise as it is the #1 cable drama among adults 18-49 and 25-54 in it’s time period. 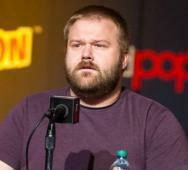 Season 3 will have 13 episodes and begins January 2013. 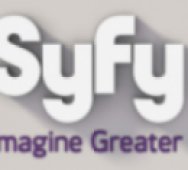 The SyFy channel has announced a huge 28 scripted and reality programmings. All are scheduled to start showing this Fall and into 2013. Within is full details on the highly-anticipated Defiance. Defiance will unite the Massive Multiplayer Online (MMO) and the TV world to make a experience unlike anything we have ever experienced before. Tons more dramas and reality shows are scheduled. 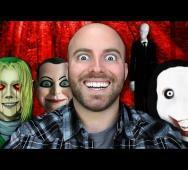 This is looking like the year of horror in 2012 - 2013. The Fall season of horror TV shows warrants a nice must see list. We have a lot of new shows in this top list. 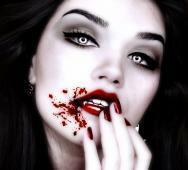 In the list of returning shows we have The Walking Dead (AMC), The Vampire Diaries (CW), Supernatural (CW), True Blood (HBO) and Being Human (Syfy). Adding to the lineup we have Teen Wolf (MTV) and Death Valley (MTV). Worth mentioning are The Ringer (CW), Fringe (FOX), American Horror Story (FX), Terra Nova (FOX), Grimm (NBC), The Secret Circle (CW), Dexter (Showtime), Haven (Syfy), Warehouse 13 (Syfy), Todd and the Book of Evil (Fearnet) but not really up there in my top rated list but you might want to watch them. 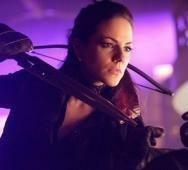 The Canadian succubus show ‘Lost Girl’ has been acquired by Syfy. After a successful season 1, Syfy picked Lost Girl up for season 2 while also attaining the rights to air season 1 and season 2 domestically.